15. Your Problem is INCURABLE...! The Perfect Pendulum is an indispensable aid in the development of energy awareness. Stable, switch-proof, and ideal for testing the answers to your questions, it is useful in diagnosis, judging the positive energy of a relationship, or a place, dowsing, finding lost objects and all the other little things that it would be handy to know. Rob Tillett, the publisher of Astrology on the Web, has been using his since 1986, so it's highly recommended! The pendulum is a valuable tool for testing just about anything. It can be used to focus your attention with regard to your questions, whether they be health-related (it's great for detecting allergies! ), aimed at judging the positive energy of a relationship or a place, dowsing, finding lost objects, solving the little mysteries of life, or any of the other things it would be handy to know. The problem with the pendulum, and any of the other bio-electrical testing mechanisms, is the question of reliability. Are the answers really reliable? 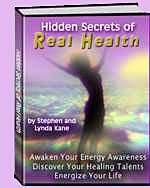 Does it damage your energy field while testing? Does it attract and store negative energy from the environment? These are important issues, but in my experience, the Perfect Pendulum, designed and constructed by our very own Energy Doctor, Stephen Kane, is more reliable than any known bio-electrical testing device. Combined with the techniques outlined in the 12 page User Guide, it is pretty well foolproof. This article covers the nature and use of the Perfect Pendulum. The Perfect Pendulum is made from a hand-cut, hand-polished opaque stone egg, with a small sphere at the other end of the chain. Each one varies in size slightly, as they are individually made. It is charged with over 80 forms of ki, which give it the properties listed below. The Perfect Pendulum is an active awareness-development tool which, if used regularly, will help you arrive at the point where you no longer need a pendulum or any other aid to perceive the most energy-ascending (positive) choices you can make from one day to the next. Doesn’t cause switching errors – switches are reversals of energy flows that cause unreliable answers. Other forms of pendulum cause energy to descend from your 7th (crown) chakra because they irritate the crown in the same way that the handle of a tennis racket would irritate your hand if its form was incorrect. 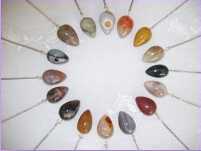 Doesn’t attract, or hold onto, the harmful foreign energies that are accumulated by so many other types of pendulum. In fact, it actively eliminates foreign energies from your body as it’s being used. 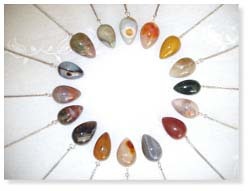 The Perfect pendulum contains six seals (energy programs) that protect you from the energies you are tuning into whenever you perform any form of dowsing test. Many dowsers become ill or disturbed over time because they accumulate foreign energies in their bodies and minds through their dowsing techniques. Order your Perfect Pendulum here! Once you have found your YES direction, you should also practise your NO direction. This is exactly the same process, using acceptance mudra again, but, this time, with your palm facing down. Please note: it's very important that you can generate your YES and NO directions with acceptance mudra. Other techniques – such as writing YES and NO on different pieces of paper, or asking yourself questions – should not be used. When you use acceptance mudra in this way you are creating real energetic connections between your pendulum and your zeroth – or 0 chakra – which is an energetic organ beneath your feet that directs ki (life energies) up into your body while you are testing energy with your Perfect pendulum. Before doing any sort of energy testing (with your pendulum, a muscle test etc. ), you must first establish whether your energetic 'testing circuits' are flowing properly. Your energies can switch often during the day, perhaps as a reaction to a food, a person or being in a certain place. So it is very important to check yourself before using your body as a testing instrument – which is what you are doing when using a pendulum. Many people use pendulums without checking to see if their body is working properly and hence get false or variable results. You can only evaluate the correctness of your answer using a pendulum, if you know that you are reliably getting a 'YES' or a 'NO'. To do the Self Test, place the Self Test mudra – the thumb pointing out between the two middle fingers of your closed fist – against your heart chakra – not the solar plexus as described in HSoRH. The heart chakra is approximately two inches up from the bottom of your sternum (breast bone). This is more powerful and detects more switched testing circuits than the previous test. A NO means “not switched”, no problems, you can test. A YES means you are switched and must unswitch your circuits before you can use the pendulum or do a muscle test. Using Advance mudra (fingers and thumb curled into your palm, but not touching, backs of hands rigid like a cat clawing – don't bend your fingers at the first joint but at the middle one) tap 5 times on top of your head, then 5 taps on your heart chakra. If you still have problems unswitching then email us. This EA (Energy Awareness) attunement is used for anything you are considering doing. Look at a witness of the possible action. A witness is anything that represents, to you, whatever you are considering doing. So, if you are thinking, for example, of taking a yoga class, look at the advertisement for the yoga class or, maybe, a picture of the yoga teacher. Using a witness is the most accurate way to test anything. Visualisation is second best – so you could imagine yourself doing yoga. Try to avoid using words or thoughts to test possible actions – e.g.. "Should I take the yoga class?" – this is by far the least reliable way to test anything due to the usual lack of a real energetic connection (via words or thoughts) with the subject you wish to test. With your flat palm facing up, bend your thumb into the centre of your palm. This is called resonance mudra. When used with a Perfect Pendulum, Resonance mudra will give you a YES on the pendulum if the witness represents an energy-ascending (positive) action or a NO for an energy-descending (harmful) action for you. An action that has no particular effect won't affect the direction of your pendulum. Remember – keep an empty mind whilst testing, nothing is said or thought. The Perfect pendulum works through direct flows of energy. Words just get in the way and, frequently, cause switching – reversed flows of energy – which gives incorrect answers. The context of your relationship with a witness automatically determines what your answer means. So, a YES when you are looking a hat probably means you should wear it; an apple, you should eat it... and not vice versa! This Body Energy (EA) attunement is for whenever you want to check – maybe because you don't feel right – whether you are being affected by a form of environmental stress or foreign energy (harmful energy from another person) in your current environment. Form resonance mudra (thumb into centre of palm): a NO on your pendulum means you are currently being affected by an environmental stress or foreign energy Now, let your mudra hand drop down by your side – still holding the resonance mudra – so that your palm is facing back and your fingers are pointing down. If you can resolve the stress (you will no longer get a NO when you look at the source of stress with resonance mudra down by your side), you may wish to repeat the test a second time – there may be more than one source of stress. The more you minimise your exposure to environmental stresses and foreign energies, the more you will increase the availability of your own life energies for your future health, wealth, relationships, happiness, success and energy awareness. A need is an action that strengthens your energy in a way that is of critical importance for your future. There are many actions you could commit that would be good for (strengthening) your energy and thus your life. For example, maybe two items of clothing are both strengthening but you can only afford one of them, three bottles of vitamins test positive but you can only afford one. You've tested your holiday destinations and two come up positive with the standard resonance mudra test. The NEED test gives you a way of deciding between these things and finding the one that is most important for you to do/get, because doing or getting this one thing will have the greatest beneficial effect on your future. This is a need. A need is an imperative. This is because it is the action or decision that will make the biggest difference to one or more areas of your future - even if you can't see what that difference might be at this time. Technique: You can identify a need by using resonance mudra with your palm facing forward and your fingers pointing up. A YES indicates something you should make sure you definitely do/get. So, for example, maybe you are thinking of moving to either of two places – and both are strengthening. You can use resonance mudra with your fingers pointing up to see if one place holds much more promise than the other – if it doesn't, maybe you should consider somewhere else all together. So, when you are trying to make an important decision – especially one that will obviously have a major impact on your life – remember to use resonance mudra with palm facing forward fingers up, after using it with your palm facing up (standard resonance mudra). The more you fulfil your needs, the more you will create for yourself a fulfilling and higher-energy future in every possible way. You can use your Perfect pendulum to help others with their needs, but bear in mind that the accuracy of your testing is limited by how much you are making a real energetic connection to another person. Dowsing for others often fails to achieve the desired results, because of the poor connection between the dowser's awareness and the subject of his attention. This is especially true when the dowser is testing with the help of thoughts, words or symbols. The most accurate means of making a real energetic connection between your awareness and other people is taught in our Energy Awareness Training or the on-line Entry Path program of personalised energy awareness development mentoring. This empowerment process depends on practising certain energy cultivation exercises. If you get a Yes to anything you are looking at – eg. a nutritional supplement or food – open gift mudra then close it again if you wish to test anything else. There is no need to think anything while testing this way. As a practitioner you can use this technique to check the energetic resonance of your proposed therapy or treatment with the energy of your client. A "NO" means that, in this particular person's case, what you were proposing to do or recommend is not actually energetically indicated for that person at this time. The Perfect Pendulum is an essential accessory for anyone who wishes to extend their intuitive abilities and to progress along the Way of Consciousness. I would also highly recommend that you purchase an Energy Egg, to purify and protect your energetic environment.